These soft-yet-crispy vegan vanilla wafers are even beetter than the storebought version. They’re easy to make and require just 6 ingredients! Normally I’m more of a soft and chewy cookie kinda gal, but crispy vanilla wafers have a fond place in my heart. I grew up munching on vanilla wafers more than any other packaged cookie. (Because, yes, dietitians love their sweets, too!) 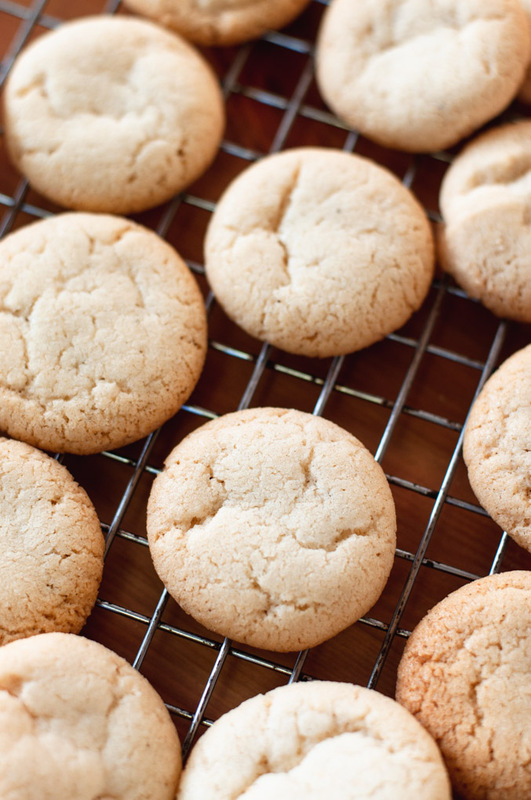 There’s just something about that sweet, soft-but-crunchy and oh-so vanilla-y cookie. Due to my neverending need to veganize all of my favorite comfort food desserts (I’m talking about you, vegan zucchini bread! ), those classic vanilla wafers from childhood (and adulthood?) are now officially veganized. 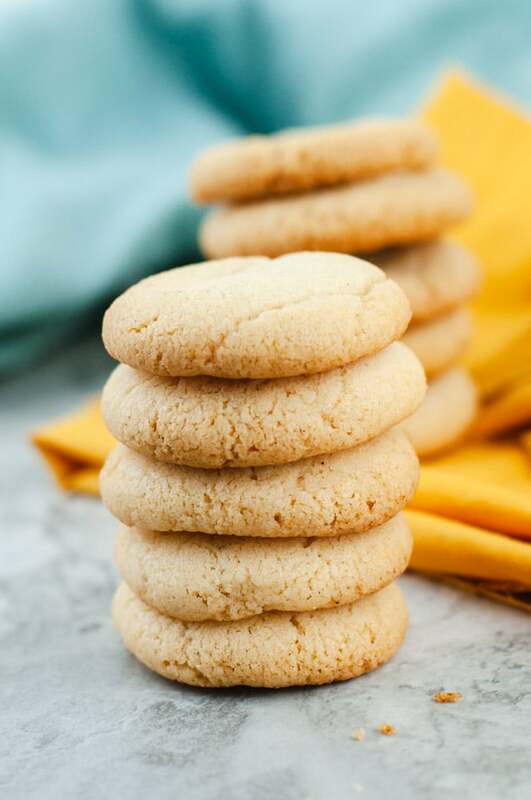 The best part about these sugar cookies? They’re super easy to make! I’m talking six easily accessible ingredients and just a few easy steps. Vegan butter. I use the Earth Balance vegan buttery spread, but sticks will also work. I prefer this butter because it doesn’t have a strong soy taste, so it works well in baked goods. Recipe tip: make sure your butter is softened before creaming with sugar. Sugar. White (refined) sugar is used in this recipe. My Darling Vegan has a helpful resource on choosing vegan sugar. You’ll want to use a classic fine grain baking sugar like the kind usually found in table sugar. Vanilla extract. 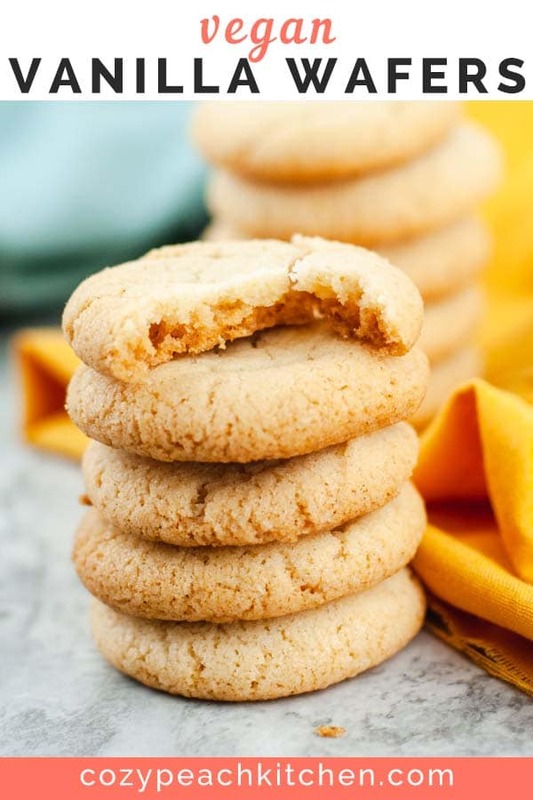 Because vanilla flavoring is integral to vanilla wafers, I recommend using pure vanilla extract for these cookies. But I won’t judge you if you use artificial vanilla, the real stuff is expensive! All-purpose white flour. I use White Lily for most of my baking (not just biscuits! ), but any all-purpose flour will do. Baking powder. Because we aren’t using eggs in this recipe, baking powder is integral to the cookie rising. 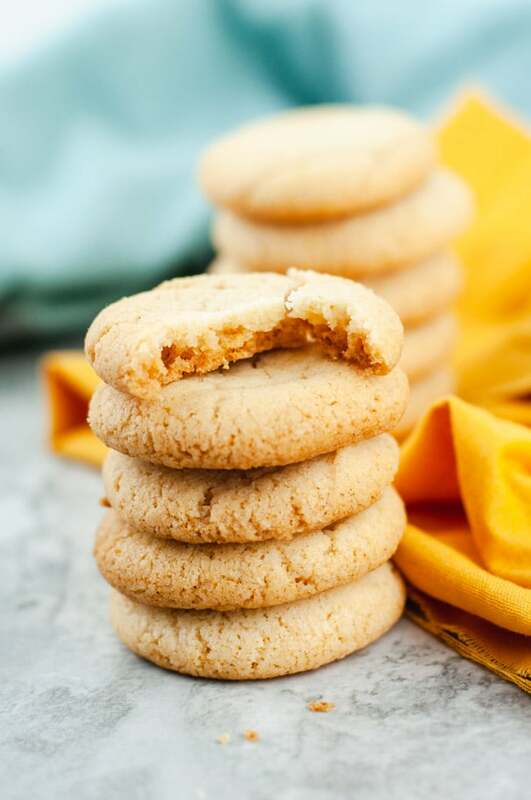 *honorable mention for salt, which adds a contrasting flavor to these otherwise quite sweet cookies. 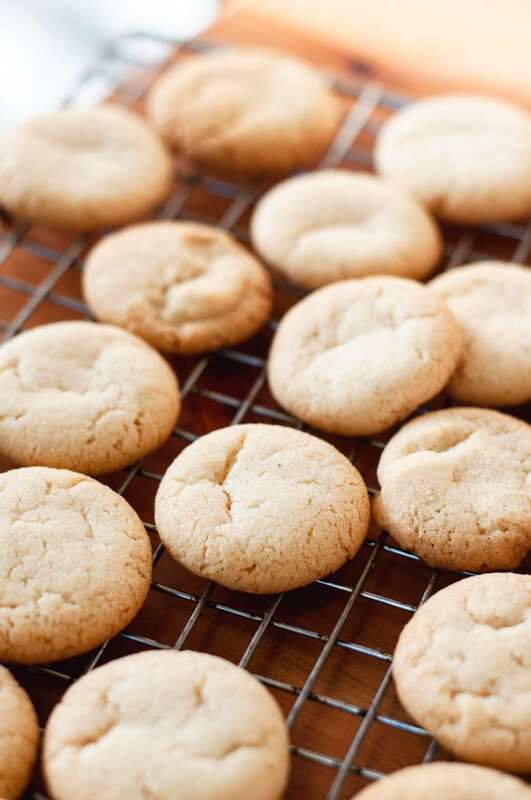 These cookies are made using the classic cookie method. You’ll start by creaming together butter and sugar with a hand or stand mixer. Next, add the vanilla and beat until combined. Mix your dry ingredients (flour, baking powder, salt) in a separate bowl to assure even distribution. Add the dry mixture to the wet mixture, beating until just combined. For evenly sized cookies, use a teaspoon to measure out cookie dough into small balls. Space these cookie dough balls at least 2 inches apart. Bake for 15-18 minutes in a preheated 350 degree F oven; the cookies are ready when the edges are golden brown. Wondering why I really made vanilla wafers? A very tasty and comforting vegan banana pudding recipe is coming to the blog very soon, and there’s nothing quite like homemade vanilla wafers and banana pudding! 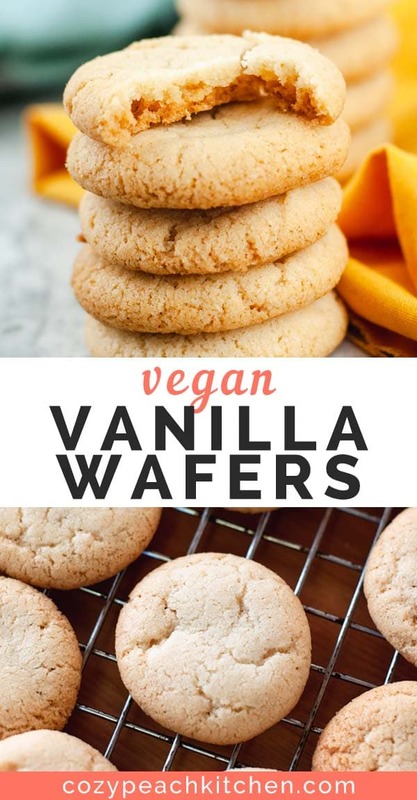 These vegan vanilla wafers are loaded with vanilla flavor, soft-yet-crunchy, and made with just 6 ingredients. 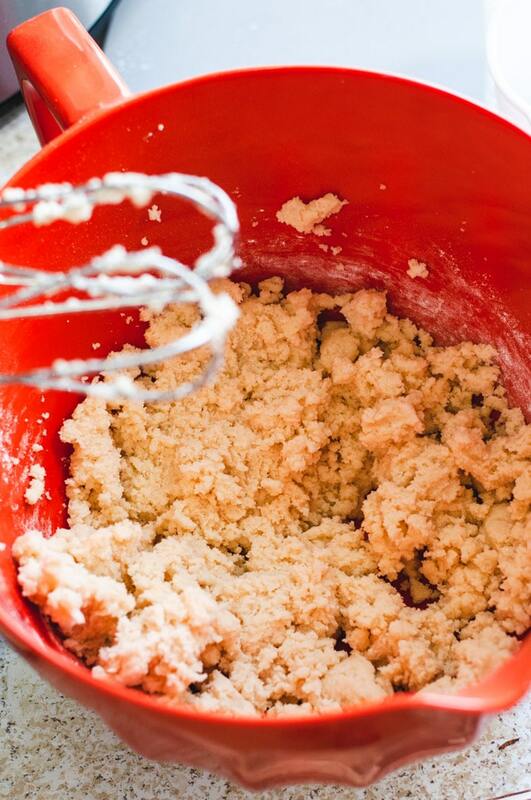 In a medium mixing bowl, beat butter and sugar with a hand or stand mixer until light and fluffy. Careful not to overbeat. Beat in the vanilla. In a small bowl, combine all-purpose flour, baking powder and salt. Add to butter and sugar mixture, beating until combined. 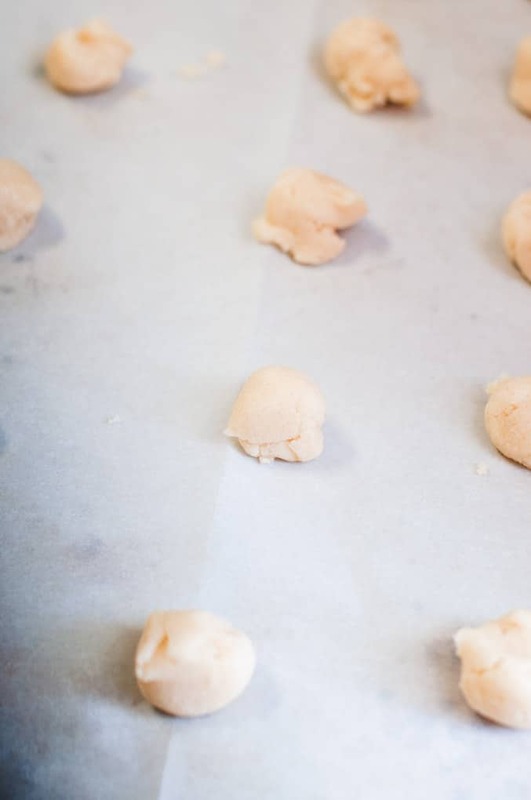 Use a teaspoon measure to evenly portion cookie dough onto the parchment lined baking sheet. Space cookies two inches apart. Bake in preheated oven until edges are golden brown, 15-18 minutes. Yields 3 dozen cookies. Store in a closed container for 3-4 days at room temperature or freeze for up to 3 months. To evenly measure flour, spoon flour into a measuring cup. Level off excess flour with the back of a knife. 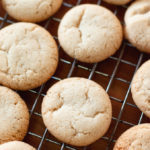 This recipe is adapted from this Copycat Vanilla Wafers recipe.